Having difficulties looking for tube fittings? We can help you because we have all sizes. 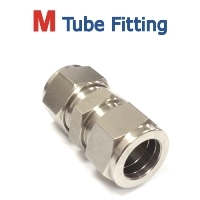 Tube fittings provides a metal to metal seal between tube and ferrules. These fittings are well known as double ferrule fittings or instrumentation fittings that has a generic design that has been used in industry since 1940s. Instrumentation fittings are supplied in a wide range of applications such as shipbuilding, oil and gas, chemical, fuel, and power generation. The available materials for twin ferrule fittings are stainless steel and brass, with a working pressure for double ferrule fittings up to 670 Bar, depending on tube wall thickness and tube material. 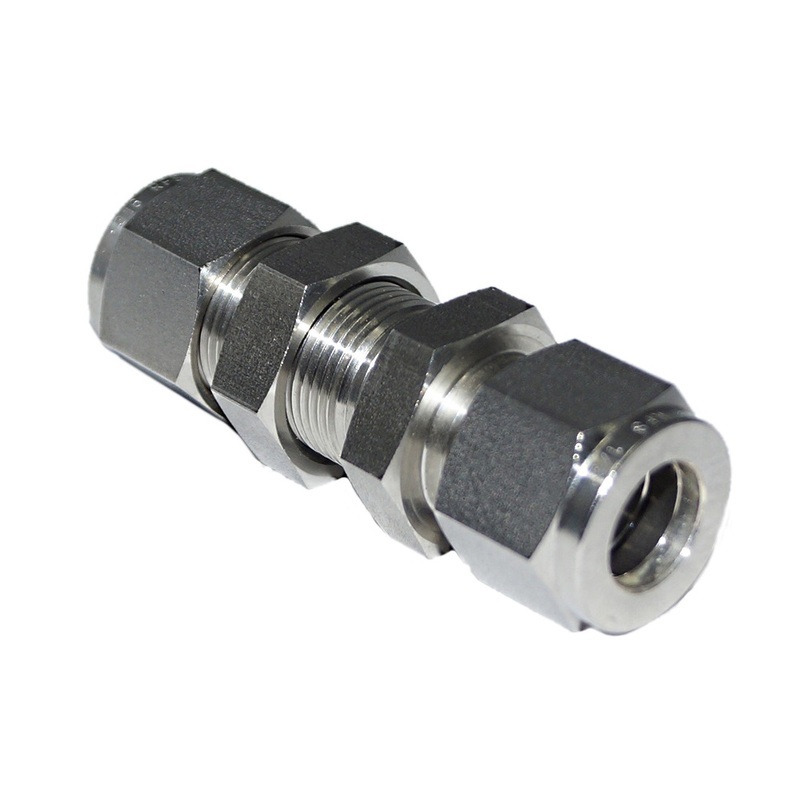 Fittings available are also equivalent to Swagelok or Parker Alok fittings. 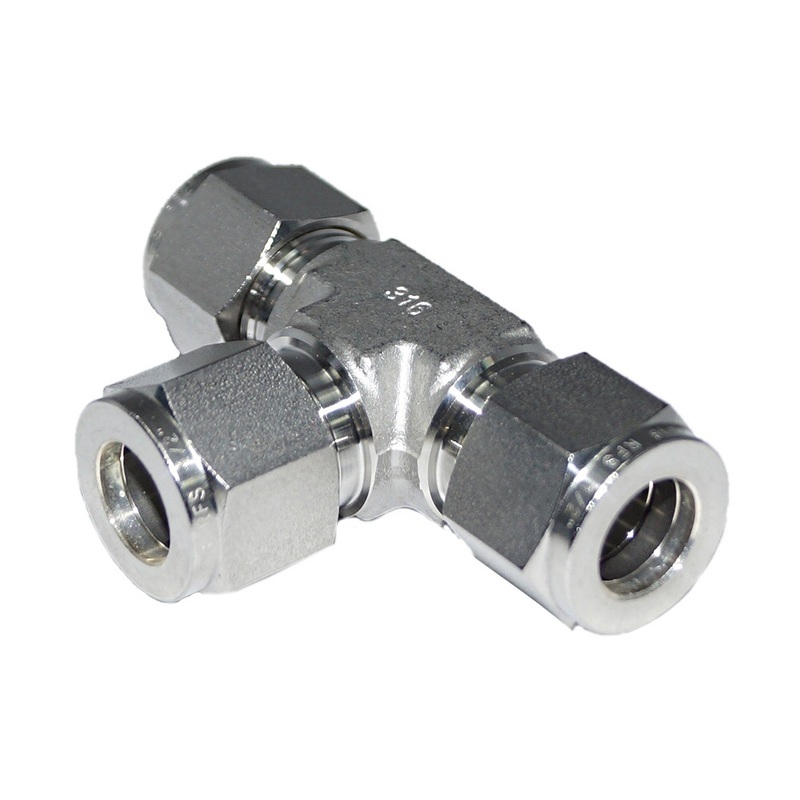 Tube Fittings are designed, to meet the specifications required by industrial applications. These fittings are normally supplied, for shipbuilding, pharmaceutical, chemical processing, power generation, and oil and gas applications. 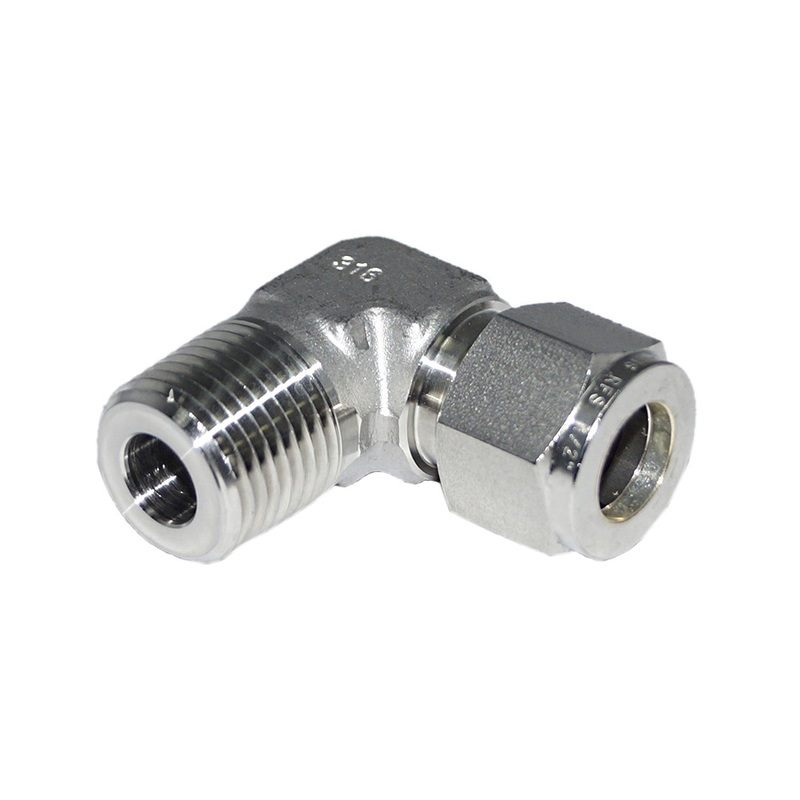 Twin Ferrule fittings are also known as Double Ferrule fittings or instrumentation fittings. A double ferrule fitting is made up of four components, which are fitting body, back ferrule, front ferrule, and nut. The two ferrule design provides outstanding leak-tight connections as it has better tube-gripping action and improved resistance to vibration. In a twin ferrule fitting design, the back ferrule moves the front ferrule forward to spring-load the fitting assembly and seal with the fitting body, and create the tubing seal. The back ferrule also swages the tube to provide the grip needed to keep the fitting and tubing in place. 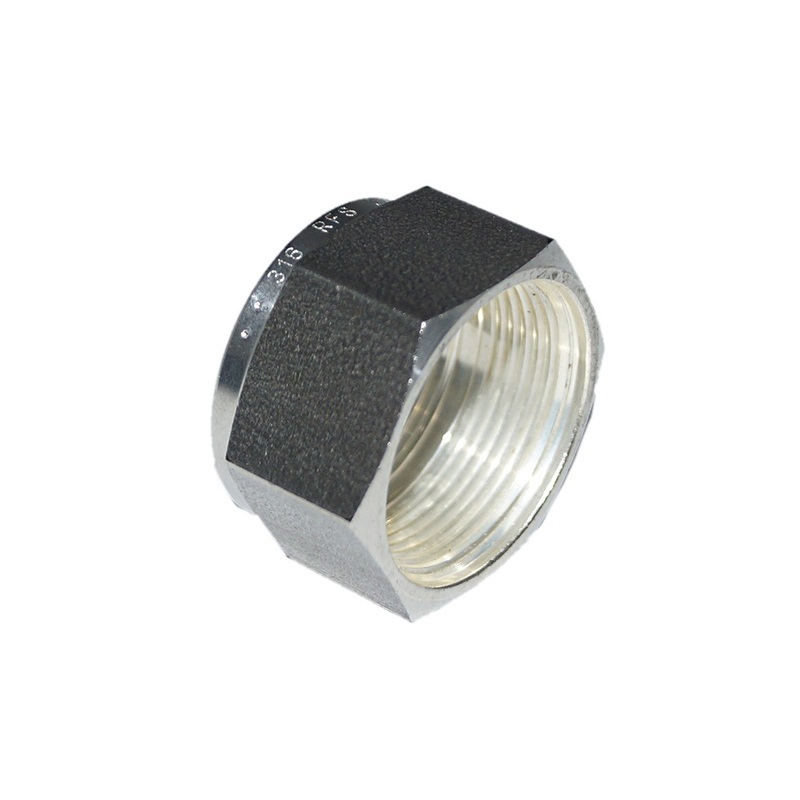 Double Ferrule tube fittings are available in Stainless Steel, Steel and Brass Material. Additional processing had been carried out, to protect fittings from corrosion. The additional process is passivization (stainless steel), white zinc electroplating with chrome VI free (steel), and acid cleaning (brass). 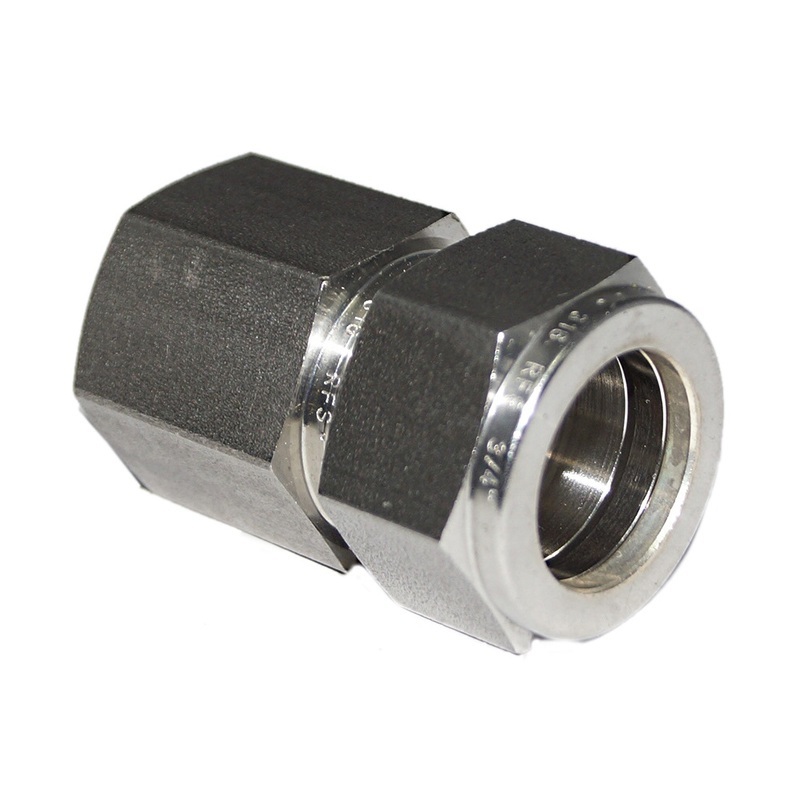 ​Twin Ferrule fittings, are measured in metric (mm) and inches sizes ("OD). The metric sizes range from 2mm to 50mm, while inches sizes range from 1 1/16"OD to 2"OD. The pressure rating, is determined by the tubes’ wall thickness, with varying tube materials. For more information regarding the working pressure, please refer to HSME M Tube Fittings. Before inserting the tube into the fittings, make sure that the tube ends are well prepared, and then lightly deburr the inner and outer diameters. After that, insert the tube, until it reach the ends of the fitting shoulder, and hand-tighten with the nut. Scribe the nut vertically at 6 o’clock position, and wrench tighten with 1 1/4 turns horizontally, while holding the body firmly with a second wrench. Working Pressure of the fittings is rated to the working pressure of tubing as listed in the tubing tables. Pressure ratings are based on fully annealed seamless stainless steel tubing ASTM A269/A213 and TP 316/316L, 304/304L or equivalent. Tubes are to be free from scratches and suitable for bending and flaring with hardness 90 HRB or less. Allowable working pressures are calculated using S value of 20 000psi (1378 bar) for ASTM A269 tubing at -20 to 100°F (-28 to 37°C) as listed in ASME B31.3 Process Piping Code and ASME B31.1 Power Piping Code. Working pressure are shown in psi. Working pressure are shown in bar. 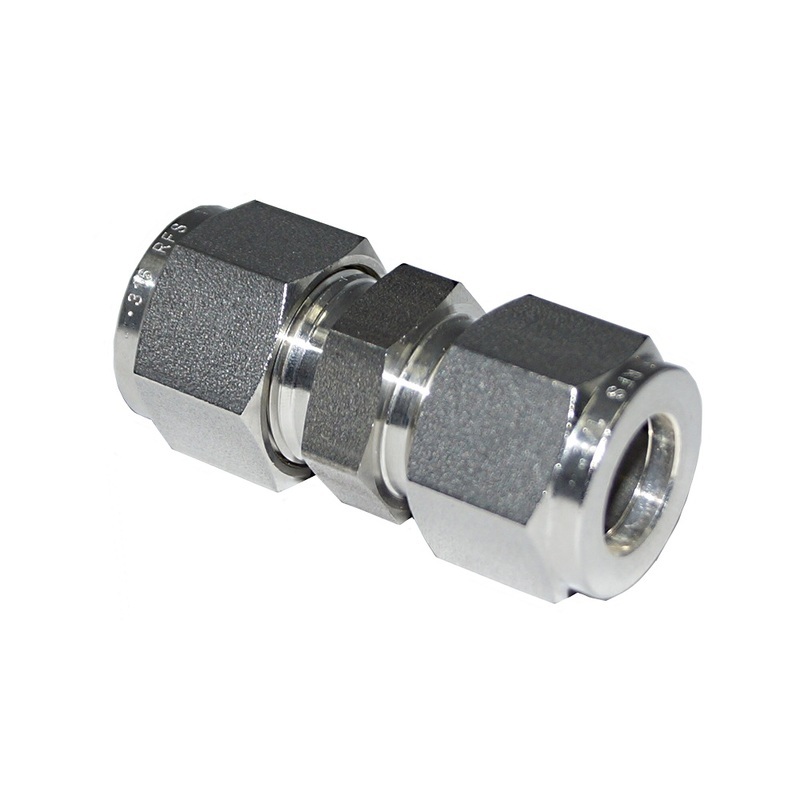 For Catalogue Pages of Stainless Steel Flareless Male Connectors, please click here. 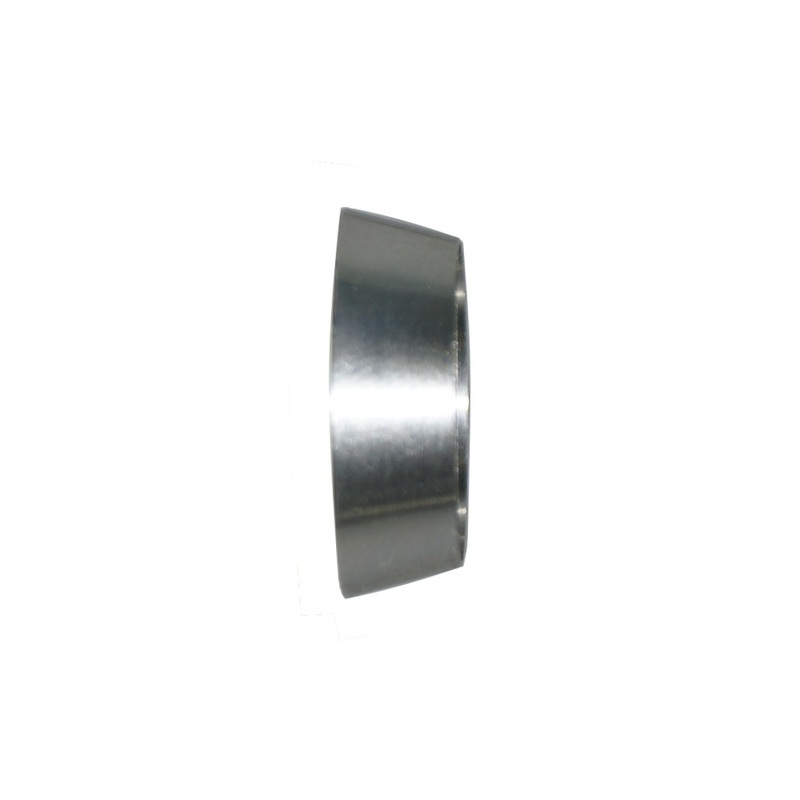 For Catalogue Pages of Stainless Steel Flareless Male Elbows, please click here. 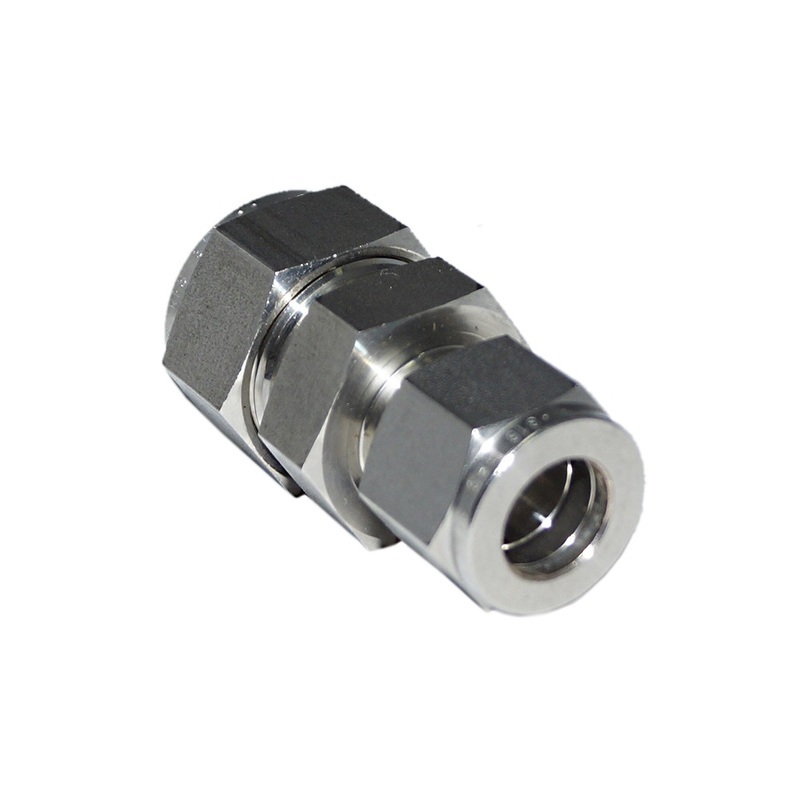 For Catalogue Pages of Stainless Steel Flareless Female Connectors, please click here. For Catalogue Pages of Stainless Steel Flareless Unions, please click here. For Catalogue Pages of Stainless Steel Flareless Reducing Unions, please click here. For Catalogue Pages of Stainless Steel Flareless Bulkhead Unions, please click here. For Catalogue Pages of Stainless Steel Flareless Tee Unions, please click here. 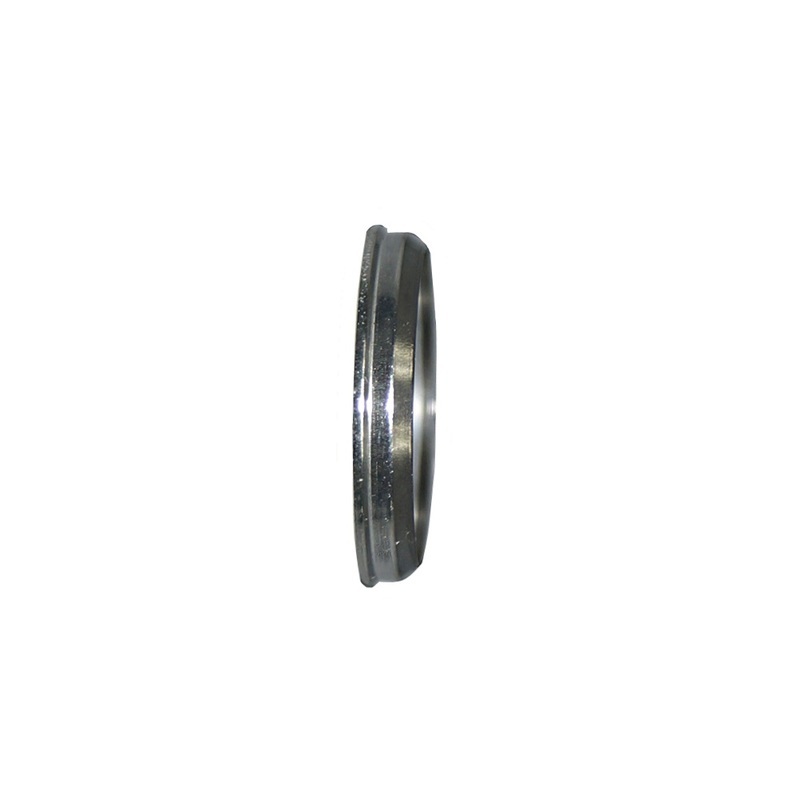 For Catalogue Pages of Stainless Steel Flareless Nut, please click here. For Catalogue Pages of Stainless Steel Ferrule Front & Rear, please click here. For Catalogue Pages of Stainless Steel Rear Ferrule, please click here.